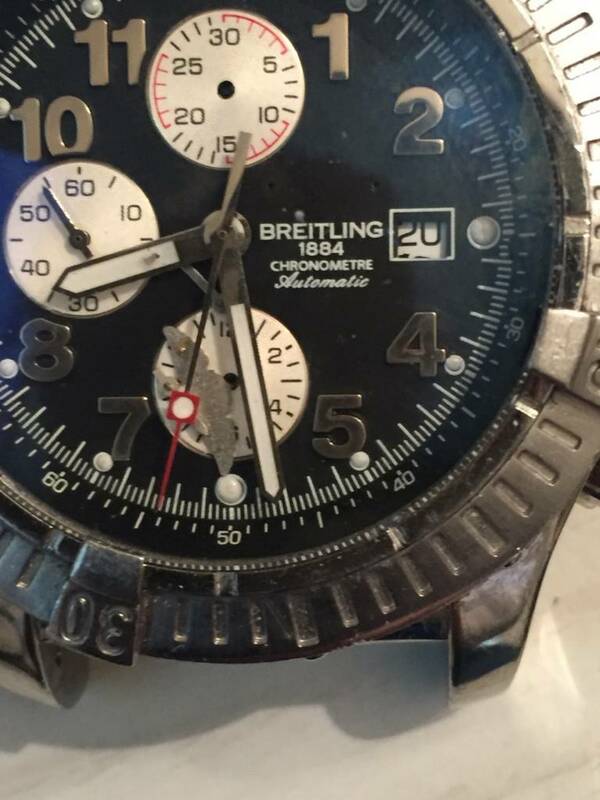 Hello, I'm looking at purchasing this Breitling 1884 a13770 Super Avenger 2. 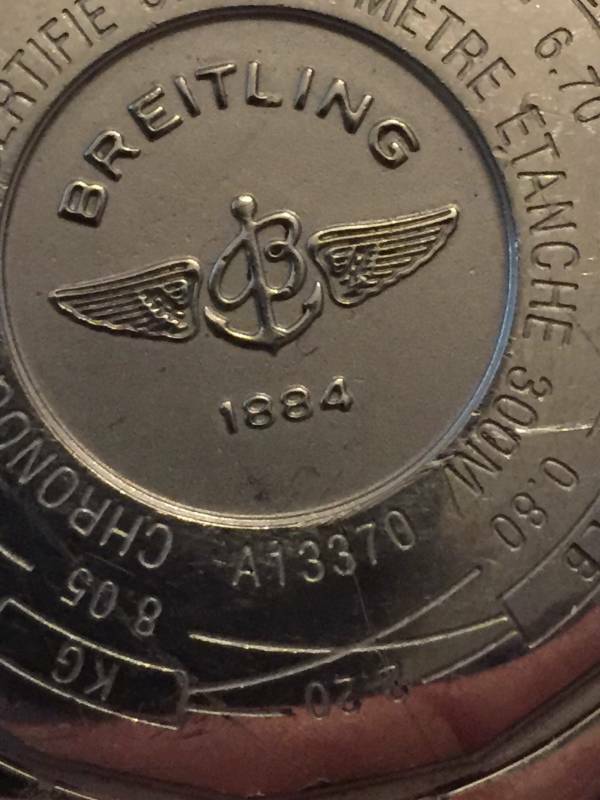 I'm just wanting to make sure it's authentic and some of the signs that it is authentic or not. Thank you. 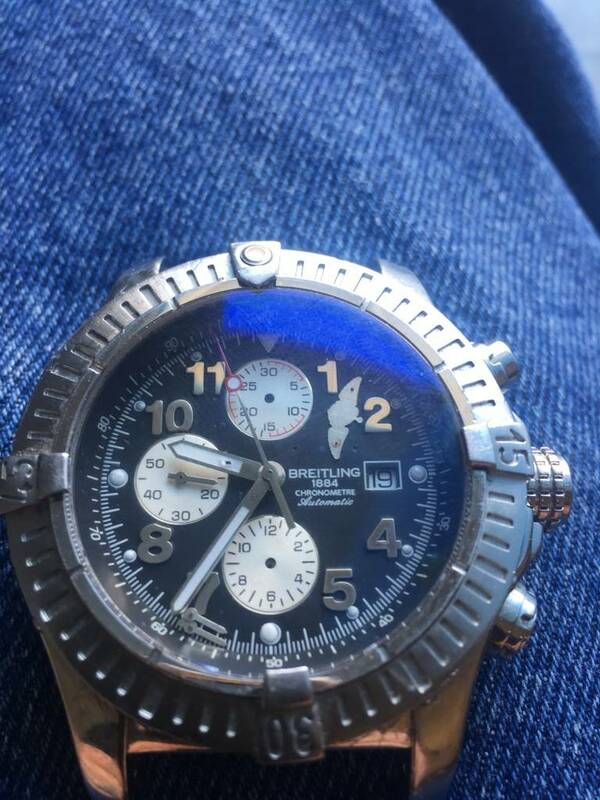 I'd leave well alone, it's totally wrecked, lume dots look wrong and I think its a fake. 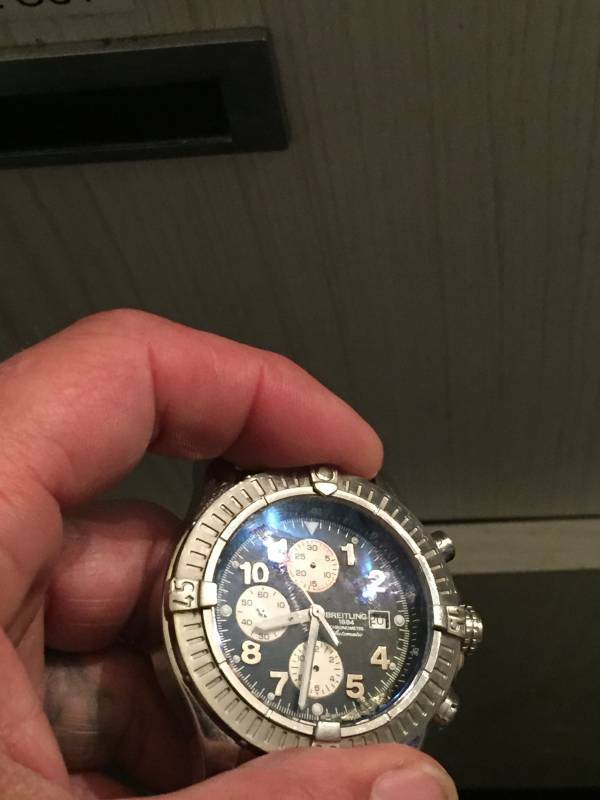 It was offered to me very cheap knowing that I would have to get it worked on so I'm not too worried about that. The authenticity of it is what concerns me. Thank you for the info, it's much appreciated. Thank you. How can you tell? The sloppy off-centre lume dots.